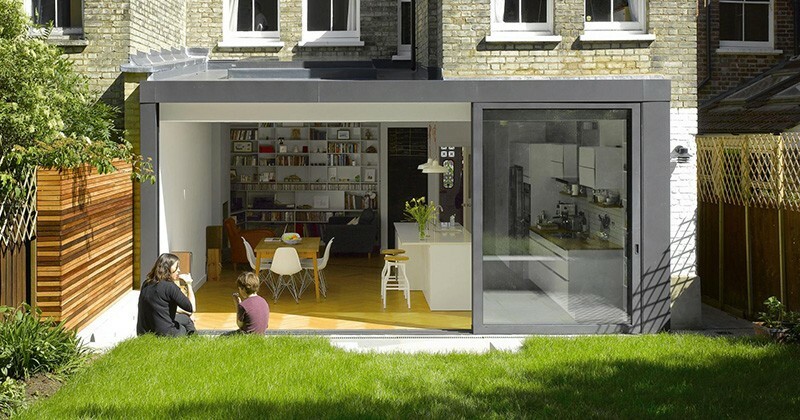 Andrew Mulroy Architects designed this contemporary extension for a home in London, England, featuring large sliding doors that open the space up to the backyard. 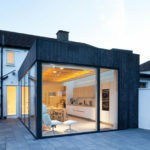 The owners of the home had always loved the location of their house and wanted to stay there, but were frustrated that its small spaces were proving increasingly unsuitable for their lifestyle and their desire to create a long term home for their young family. 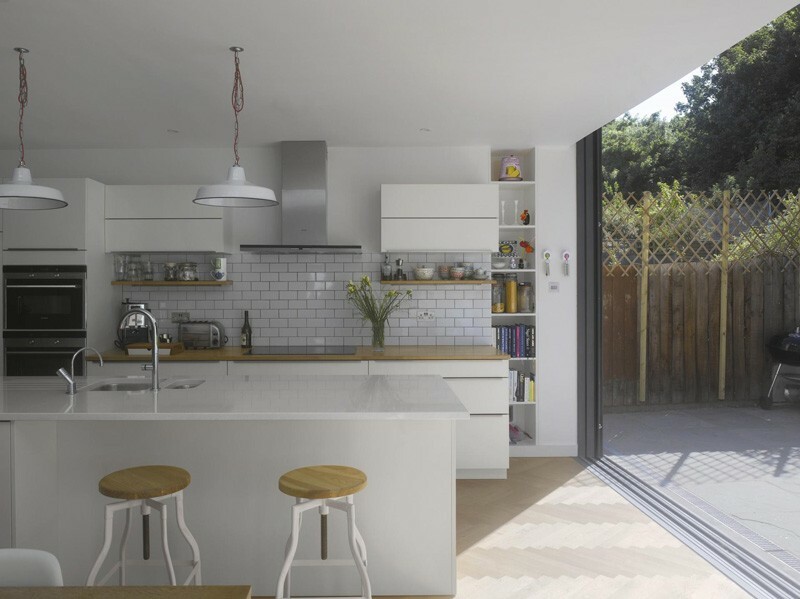 The ground floor was originally broken up into smaller rooms, however the extension allowed for the interior layout to be changed and opened up. 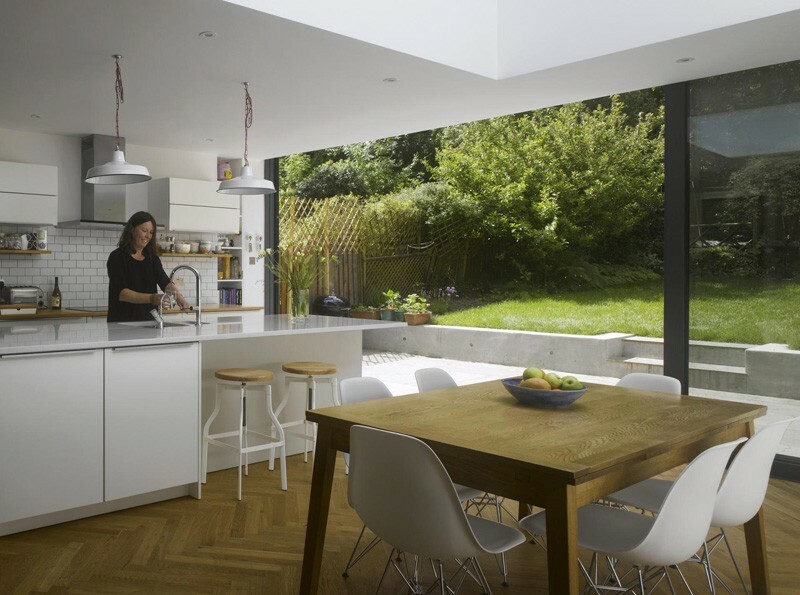 The kitchen was moved into the new space, and a dining area was added. 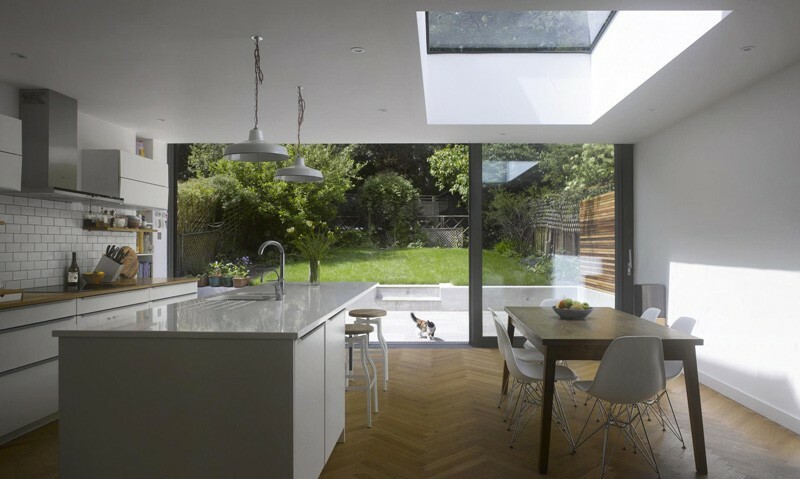 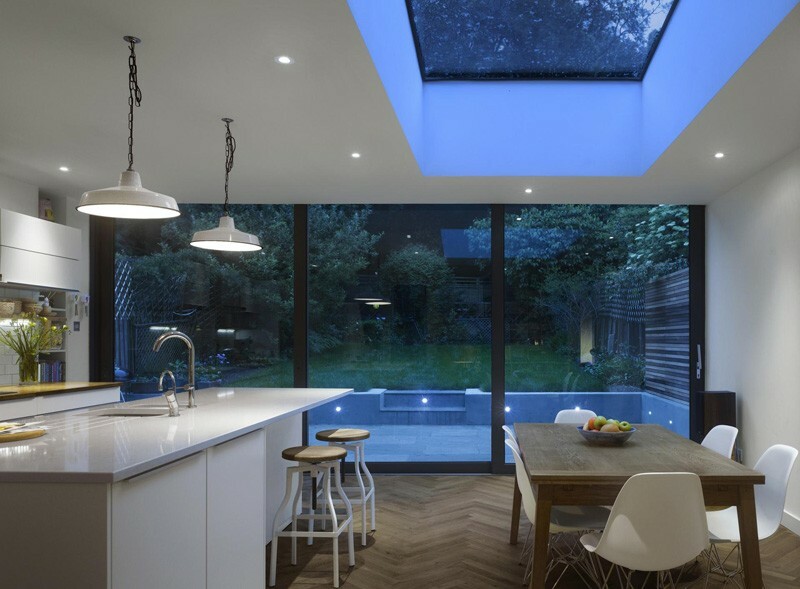 Above the dining area is a skylight, that allows for even more natural light to fill the space. 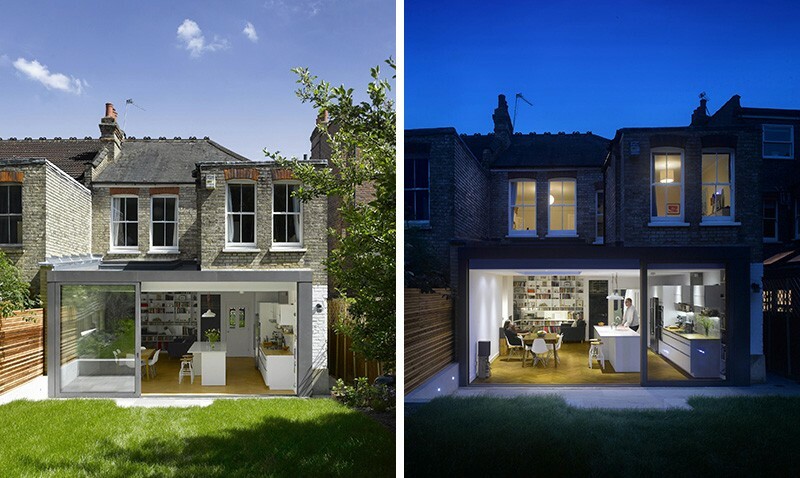 At night, you can see how the space, inside and out, has been lit. 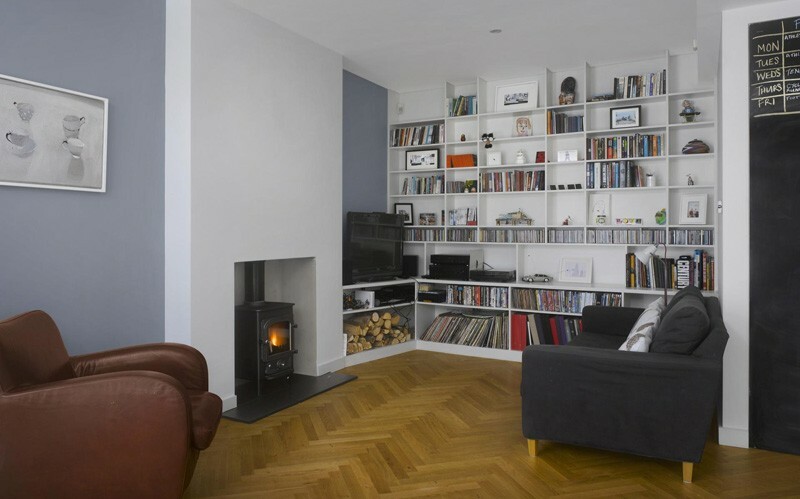 Towards the back of the space, a small living room has been included, with built-in shelving and a fireplace.